After 19-year-old Aya Velasquez died mysteriously in Harding Park, no one seemed to care. At least not until a preteen medium accidentally summoned Aya herself to solve the mystery. With no memory of her death and no shortage of questions, Aya must make friends with her fellow ghosts and discover the truth behind the Midwest’s most haunted park. Based on EVP audio recorded by M.A.A.G. 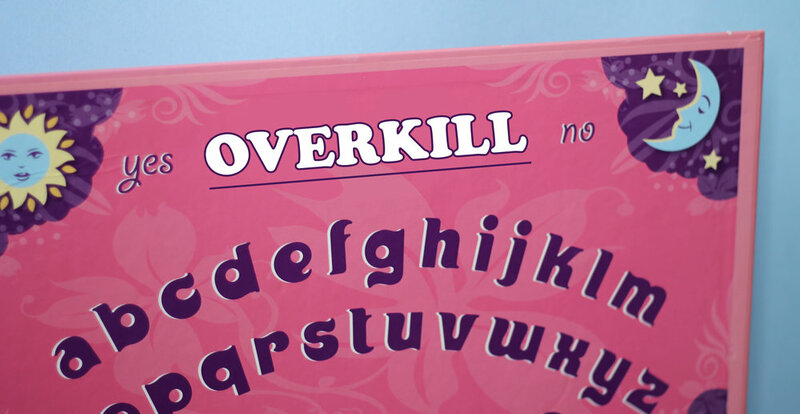 (Mothers Against Aliens and Ghosts), Overkill is a comedy podcast, a murder mystery, and a love story all wrapped in one vaguely supernatural package. Words by Lia Hagen, sound by Juan Giordano, and voices by Rebecca Rivera and Christina Gayton. Our RSS feed is https://www.blubrry.com/feeds/overkillpodcast.xml.